Chitron Electronics Company Ltd, a.k.a., Chi-Chuang Electronics Company Ltd.
 Nikolai N. Sokov, Jing-dong Yuan, William C. Potter, and Cristina Hansell, “Chinese and Russian Perspectives on Achieving Nuclear Zero,” in Cristina Hansell and William C. Potter, eds., Occasional Paper No. 15 Engaging China and Russia, on Nuclear Disarmament (Monterey, CA: Monterey Institute of International Studies, 2009), p. 20, www.nonproliferation.org. Robert Norris, Andrew S. Burrows and Richard Fieldhouse, Nuclear Weapons Databook, Volume 5 (Boulder: Westview Press, 1994), p. 348. Rodney Jones and Mark G. McDonough, Tracking Nuclear Proliferation (Washington, D.C.: Carnegie Endowment for International Peace, 1998), p. 65. 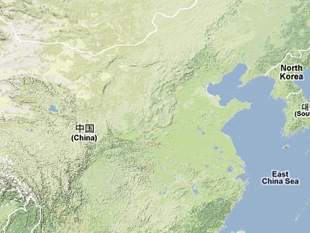 China’s “Third Line” Facilities refer to redundant facilities that were established beginning in the mid-1960s in the interior of China as a protection against foreign attack. U.S. Department of Commerce, Bureau of Industry and Security, “Addition of Persons Acting Contrary to the National Security or Foreign Policy Interests of the United States to the Entity List; and Implementation of Additional Changes From the Annual Review of the Entity List,” Federal Register, 14 May 2012, www.gpo.gov.